Select Value 1" to 12" 12" to 24" 24" to 48" 48" or larger Up to 1"
Technology: Brazing Services are metal joining services that typically use filler materials to join closely fitted parts at temperatures above 800øF (427øC) but below the melt temperature of the materials being joined. The filler material "fills" the joint by capillary action creating a metallurgical bond between adjacent layers. The filler material can be supplied in rod form, preforms, or a paste consisting of the filler material and flux. This process can be performed with a torch or in a furnace under various atmospheric conditions. Typical filler materials include nickel-silver, bronze, brass, copper, gold and silver. 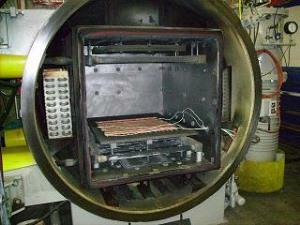 Applications: Brazing services is are common across many industries from automotive to aerospace.